The Windy City is popular for many things — deep dish pizza, Chicago-style hot dogs, the Sears Tower, and Oprah. But something extremely underrated about the glorious city is its wide variety of affordable Chicago wedding venues. 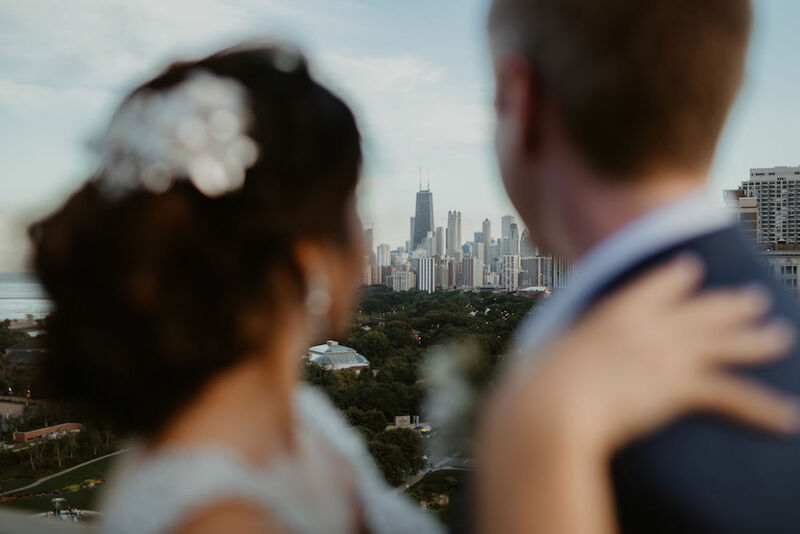 Whether you’re looking for something modest, traditional or extravagant, Chicago has something for everyone, regardless of your special day’s budget. Commemorate your love to your partner AND the City of Chicago when you say “I do” at the Daley Center. Rejoice under famous artist Picasso’s monumental sculpture and gift to the City of Chicago, The Picasso. Located in the Chicago Loop, this affordable Chicago wedding venue is close to world-class hotels, fine-dining, and shopping centers. Because of this, the Daley Center makes it the perfect place to tie the knot. Further, guests will love the proximity and scenery. The elegance of this historic affordable Chicago wedding venue will light up by the city lights, skies and magic from your big day. Located in Wadsworth, Illinois, this North Shore golf club is an affordable Chicago wedding venue for your ceremony and reception. With two outdoor and two indoor ceremony locations, Wedgewood Weddings North Shore offers many options for choosing the perfect backdrop for your big day. 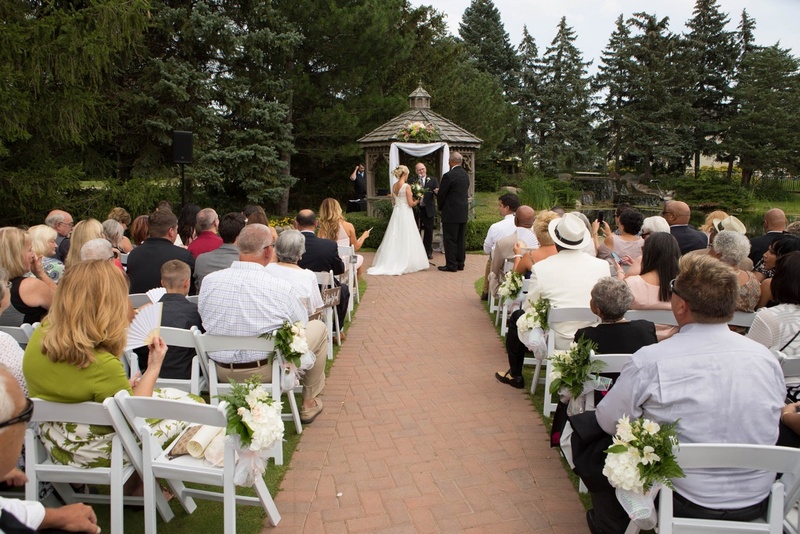 This inexpensive Chicago wedding venue is perfect for those on a budget with its romantic waterfall and lavish golf course views. 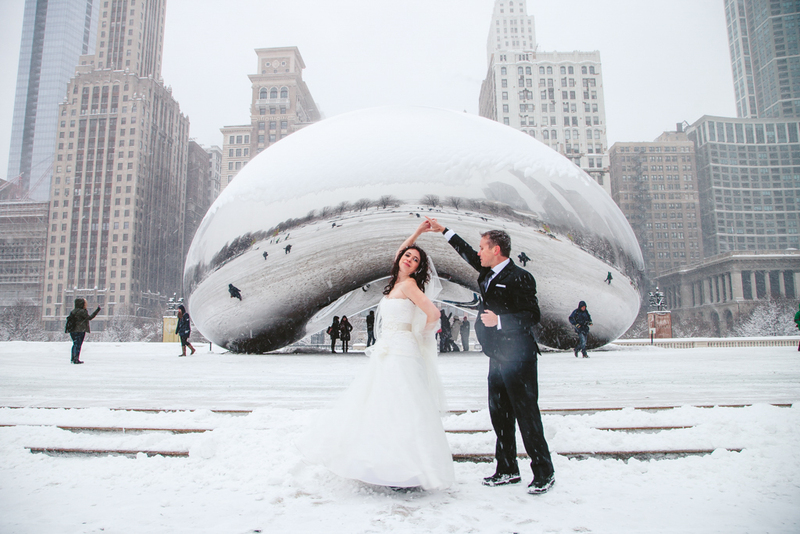 Even more, Wedgewood Weddings North Shore provides opportunities for breathtaking photos of your Chicago wedding celebration in its newly renovated ballrooms. Stratford on the Park is another example of an affordable Chicago wedding venue. Located in Lincoln Park, this affordable Chicago wedding venue can hold breathtaking wedding receptions for anywhere from 30-150 guests. Also, the space offers a ton of amenities, from event planners to a bridal suite in the historic Belden Stratford. Fully decorated with cream, grey and sage tones, Stratford on the Park provides the perfect backdrop for your big day. Most importantly, though, is the park’s patio that overlooks one of the most beautiful neighborhoods in the city of Chicago. With such a rich history, Lincoln Park is the ideal spot for you to add your love story to its background. The Keith House is one of the more unique affordable Chicago wedding venues on this list. 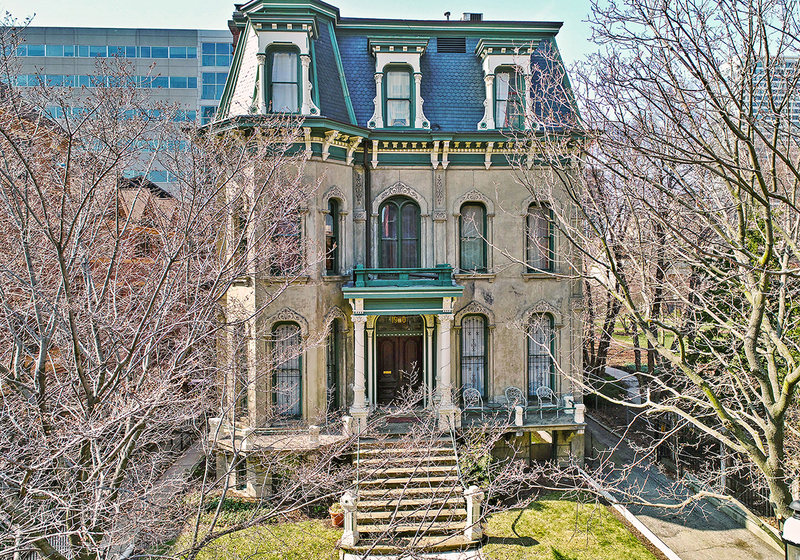 An impressive 1870s mansion, the Keith House has an intimate, vintage feel. Located in the center of the Prairie Avenue Historic District, this affordable Chicago wedding venue is just ten minutes to Downtown Chicago. Not only is it in such a gorgeous, historic town, but also the large house is spacious enough for as many as 20-90 guests. This spot has 3 unique rooms for your ceremony and reception. There is the Prairie Avenue Gallery, which lets guests peruse an extensive and diverse art collection as they drink bubbly and commemorate love. A fresh lawn provides an extravagant atmosphere for summertime weddings, while the art gallery and parlor offer inside entertainment. 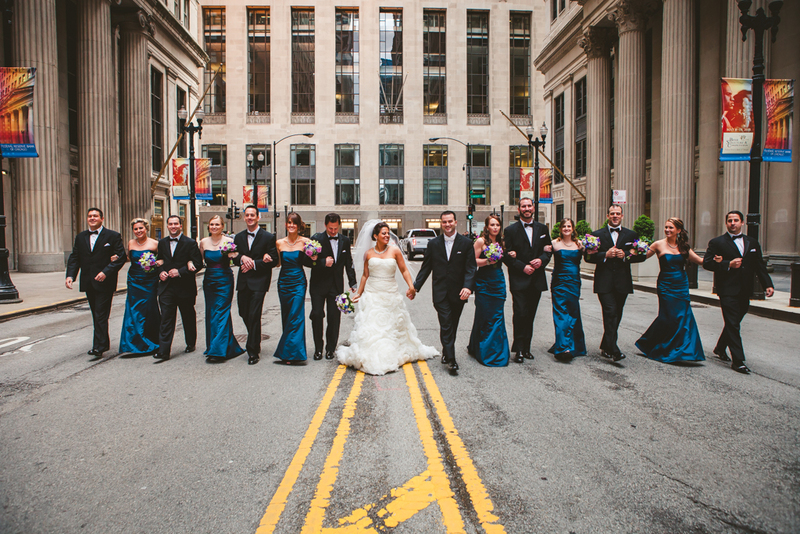 Consider the Keith House Chicago for your affordable Chicago wedding venue. A completely underrated affordable Chicago wedding venue is Pinstripes Bistro. For a location that provides bowling and bocce ball, Pinstripes has unexpectedly exceptional ballrooms with sleek hardwood floors and ample natural light. Outside, there is a blazing fire pit and vast panoramic views of the city of Chicago. Chef Cesar Gutierrez shows off his talents of enlightened Italian-American cuisine by serving small plates, flatbreads and organic meats. An admirable wine cellar and elusive, rare local beer completes the menu. 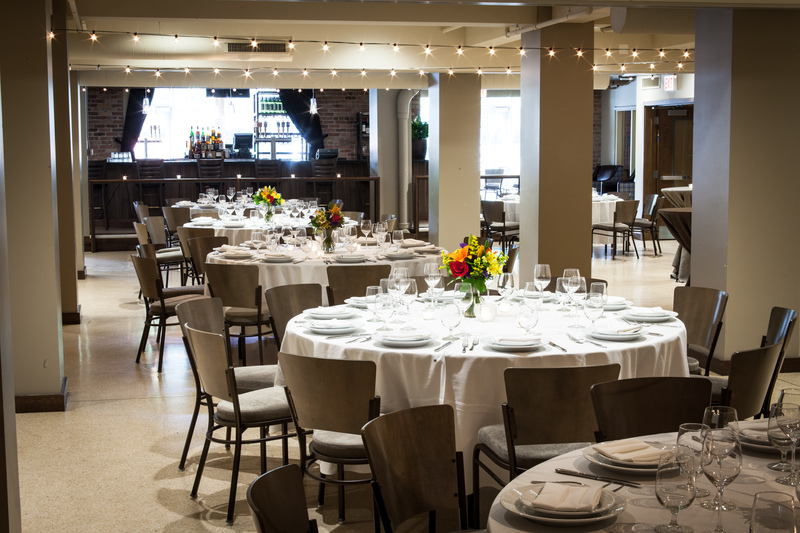 Accommodating up to 220 guests, this established affordable Chicago wedding venue holds 18 bowling lanes and 6 bocce courts, so guests can be entertained throughout the entire affair. Distinguished fine-dining and carefree fun unite to create an unforgettable and one-of-a-kind wedding experience! Located in River East, Pinstripes is one of the most unique, affordable Chicago wedding venues for when you say your vows! LakeShore Photography and Video knows how daunting and time-consuming planning a wedding can be. We hope this selection of affordable Chicago wedding venues has relieved some of the stress of finding the perfect spot to say “I do,” regardless of your budget. As established Chicago wedding photographers, we absolutely adore helping couples celebrate their love for one another. So, if you’re looking for a photographer who only makes your big day that much more memorable, stress-free and special, consider calling us today at 847-687-2336 to see if we’d make a good fit!